Social media is now hailing him as a bisexual icon because of resurfaced book excerpts. A new year, another childhood favorite posthumously revealed to likely be queer. 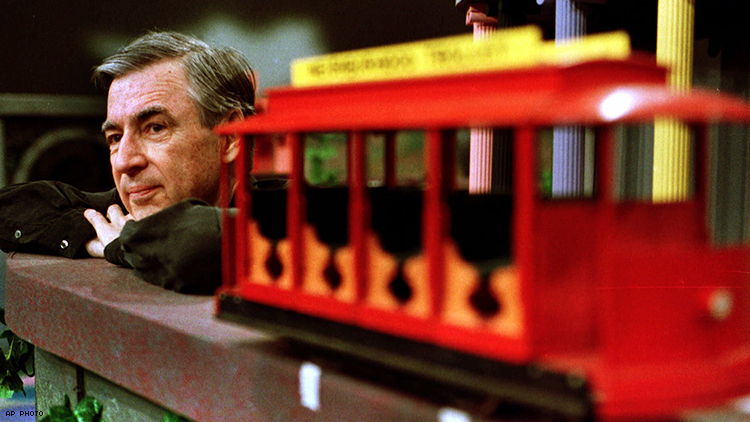 And on today’s episode, we revisit Mr. Rogers’ Neighborhood. Though the show did have Francois Clemmons, who played the long running Officer Clemmons character and who came out as gay, now a revelation has come out about Fred Rogers himself. According to excerpts from the 2015-released book The Good Neighbor, now resurfaced on Twitter, Mr. Rogers may not have been straight. The resurfaced dialogue has caused many on social media to embrace Rogers as the bisexual icon we never knew we needed. While we aren’t sure whether Rogers himself identified as bisexual, or pansexual, it might not be a reach to say he was something other than heterosexual. And as for why we may not have heard of this much before, the answer could be evidenced in his relationship with Clemmons. Clemmons, who was one of the first black actors with a recurring role in a children’s show, has said in interviews he considered Rogers to be like a father and took his advice under heavy consideration. For instance, Rogers initially advised Clemmons to not frequent gay bars once he began to appear on the program, according to the biography. And though he eventually weakened that guideline, he later encouraged him to get married. Clemmons did but then divorced his wife to live as an openly gay man, piercing his ear as a sign of his sexuality. He was not allowed to wear earrings while filming though — for years Clemmons masked his own sexuality, under the advice of Rogers, in an effort to be successful.